Kadaknath, also known as ‘Kali Masi’ is the Indian Breed of Chicken. This black fleshed chicken is known for its medicinal qualities, high protein and low fat and cholesterol levels. 1. Kadaknath – Native : Madhya Pradesh, India. 2. Silkie – Native : China. Kadaknath is a native bird of Madhya Pradesh, reared mainly by the tribal communities of Jhabwa. 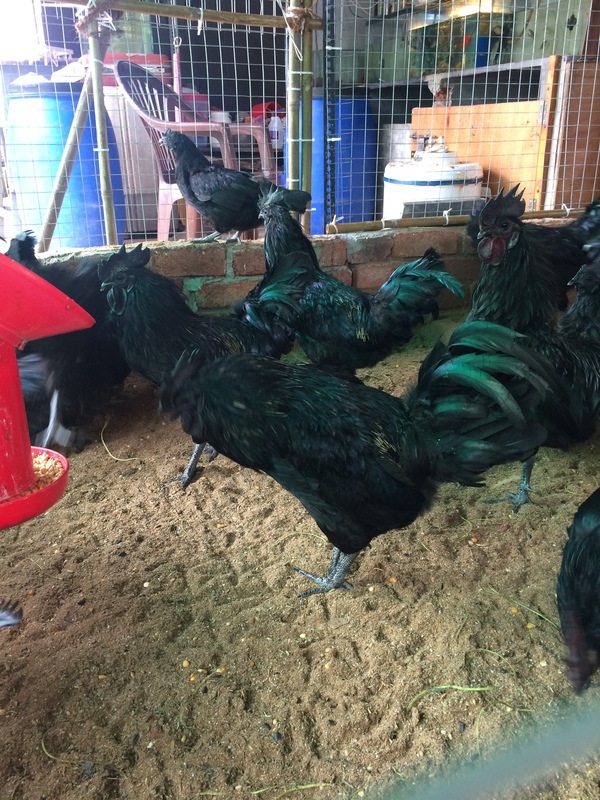 The commonly available colours of Kadaknath are jet-black, penciled and golden. The bird is very popular among the Adiwasis mainly due to its adaptability to the local environment, disease resistance, tasty meat quality, texture and flavour. Though the flesh of this breed is black, it is considered not only a delicacy of distinctive taste, but also of medicinal value. Protein content in Kadaknath is higher than 25% in an ordinary bird it varies between 18-20%. High levels of 18 amino acids out of which 8 are essential for the human and rich in hormone. Vitamins B1, B2, B6, B12, C and E, Niacin, Protein, Fat, Calcium, Phosphorus, Iron, Nicotinic acids, etc. Kadaknath has special medicinal value in homeopathy and is said to cure nervous disorder. The Tribals use Kadaknath blood in the treatment of chronic disease in human beings and its meat as aphrodisiac (Believed to infuse vigor). Experts says that Viagra or Sildenafil Citrate is basically a Vasodilator designed for increasing blood flow to the heart and the Melanin pigment in Kadaknath does the same. 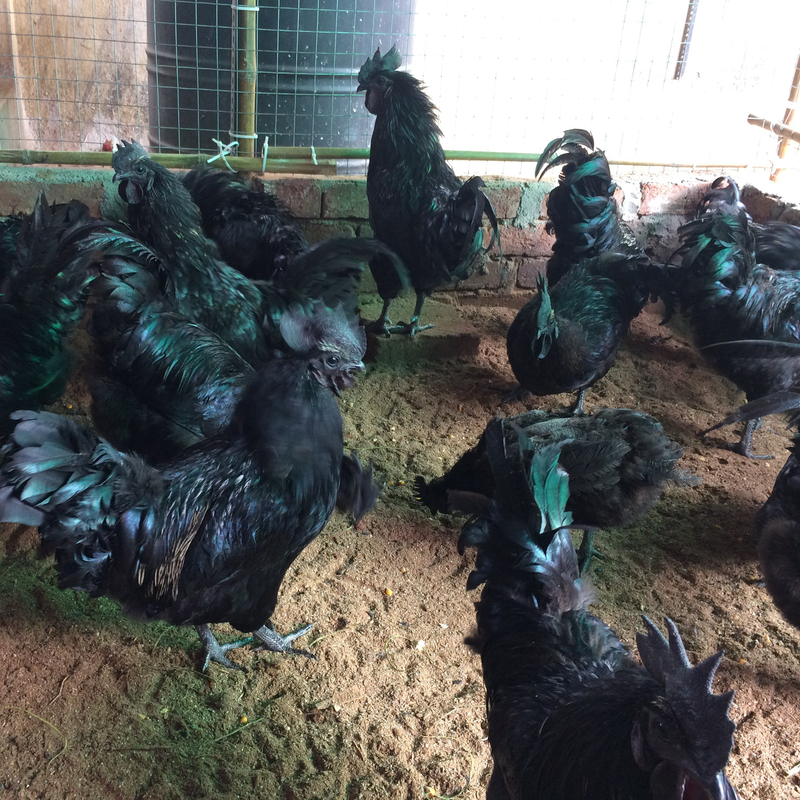 Kadaknath chicken has a peculiar effectiveness in treating sterility, Menoxenic (abnormal menstruation), habitual abortion. The eggs are also an ideal nutrition, especially for old-aged ones and high blood pressure victims, since the cholesterol content is lower rich in amino acids and higher than that of other kinds of birds. 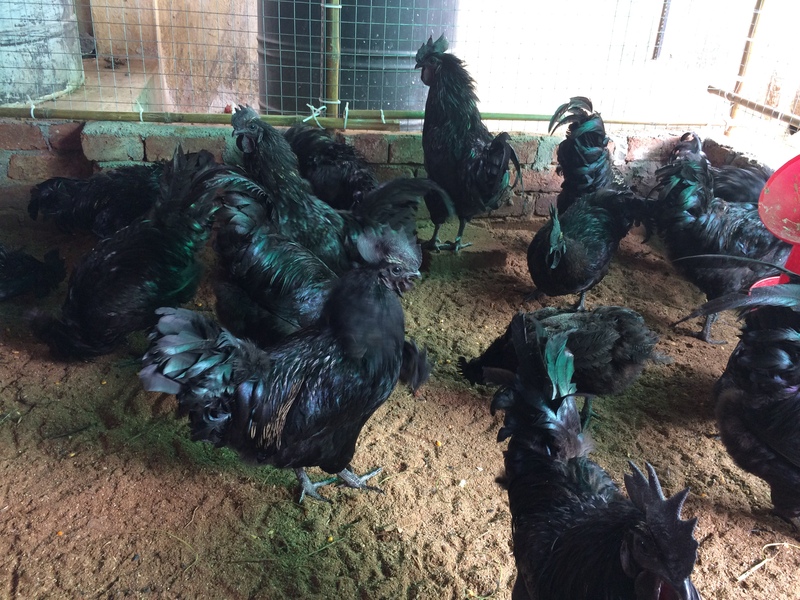 The eggs of Kadaknath chickens can be used effectively to treat severe headaches, headaches after giving birth, faintness, asthma and nephritis (acute or chronic inflammation of the kidney). The Central Food and Research Institute, Mysore, studied its medicinal qualities and found it suitable for cardiac patients as it increases blood supply to the heart.